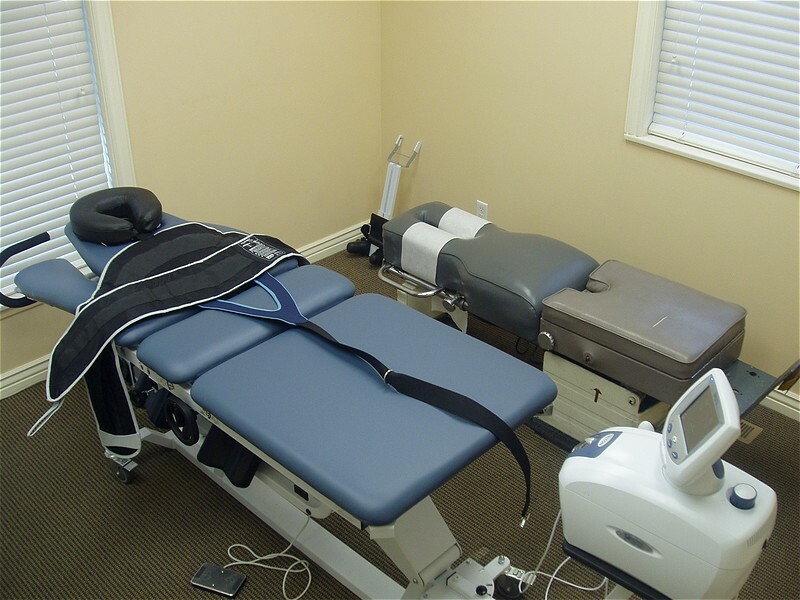 We have added Spinal Decompression Therapy to our office so we can help more people. 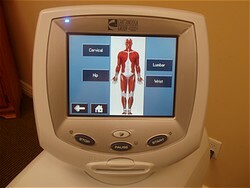 I was referring out so many patients that were getting great results with this treatment. So I decided to get a system myself. The basis concept with spinal decompression is to slowly and comfortably stretch out the back or neck to reduce the jamming of the spine and discs. 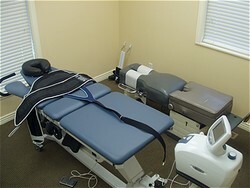 People that have suffered with chronic back or neck pain get relief with this type of treatment. Also people that have been diagnosed with bulged discs, herniated discs, or slipped discs get great relief from this therapy. In many cases the bulged disc itself will be pulled back to its' original location because of the negative pressure created by the spinal decompression therapy. Much of the research shows above 85% success rate where patient avoided surgery and got lasting relief from their back pain by undergoing this therapy. Click HERE to see a video about Spinal Decompression I have a 9 minute dvd about spinal decompression. Call our office at (801)756-2861 and ask us to send a DVD out to you free today. How many treatments will it take? We are trying to make some substantial physical changes with the spine. This does not happen overnight. Each therapy session takes about 20 minutes. We start by scheduling the patient for 3-4 sessions each week, depending on the severity of their situation. After 10 session (one month or so) we re-evaluate the patient. Typically at this point we continue with 2-3 session each week for the next 2 weeks. Most patients are finished with care at this point after a total of 15-20 sessions. Most of the time this is all that is required. We give the patient exercises during the last few weeks of treatment and suggest they keep following these exercises, keep the excess weight off, and stretch often. Some patient need to come back in for additional sessions once or twice a month for a few months to keep the region stretched out. How much does it cost? I have talked with many doctors and patients over the last year to find out how much people are paying for spinal decompression in Utah County. It has shocked me to hear about people paying $3500 to $5000 for 20 sessions. That may be worth the price to avoid surgery but it is a lot of money. I will not charge that kind of money. At that price you would be paying $175 to $250 per session. To answer that question I would have to see how severe your case is and other factors like: how old you are, if you are in good shape or not, what you do for work that may take us longer to treat. So many factors have to be accounted for. But I would estimate it would be $45-60 per sesson. These prices I will be charging will be near the lowest, if not the lowest, in Utah County. Does this therapy hurt? This therapy is not supposed to hurt. It is a gentle pull that puts traction on your spine. Most people feel really relaxed during the sessions, some even fall asleep. The computerized machine pulls at an even tension and then lets off for a period, then starts to pull again. 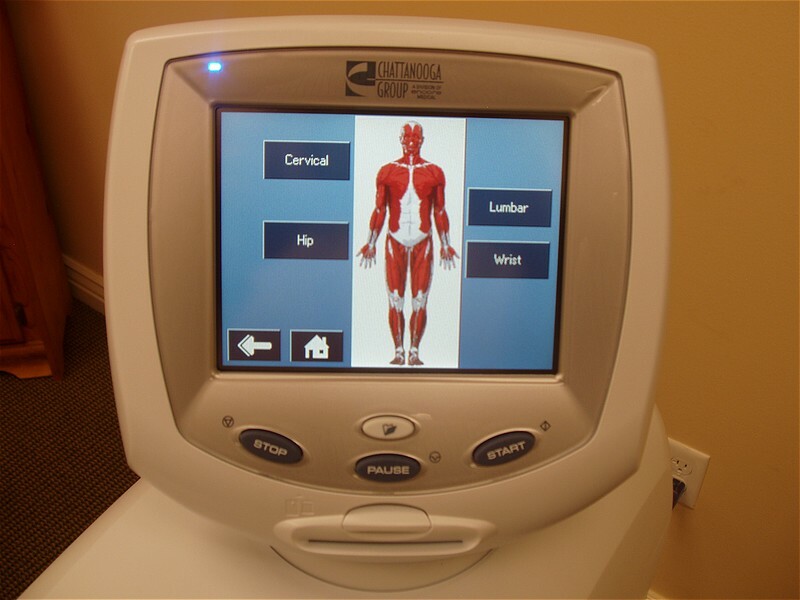 With most patients I start with some heat and electrical stimulation or laser therapy to relax the muscles prior to putting them on the spinal decompression table. Click HERE to see a video with Dr. Barrus talking about this therapy.